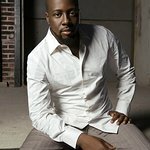 Musician Wyclef Jean will perform at a charity gala tonight, March 30, to benefit the largest non-profit alcohol and drug abuse treatment and prevention facility in the US. The 2009 Phoenix Rising Gala will benefit Phoenix House, the organization established in 1969 that treats more than 5,000 persons in nearly 100 residential and outpatient programs throughout nine states every day. The evening will feature cocktails and dinner, and will honor Lisa Ellis, a record executive whose work in the arts and entertainment has encouraged positive and responsible behavior in young people. Co-chairs of the event include Eli Manning and Shaquille O'Neal, and the Host Committee includes John Legend and Michael Strahan. Phoenix House hit the news earlier this year when Beyoncé Knowles donated $4 million to the organization. The event will take place at The Plaza on Fifth Avenue, New York City, and more information can be found here.